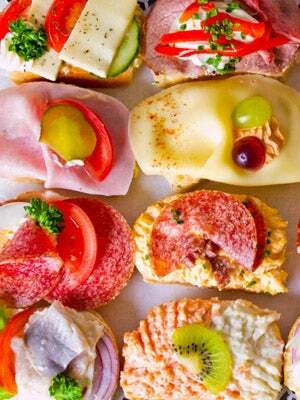 We’ve used many adjectives to describe sandwiches, but “cute” has never been applied — until now. Duran European Sandwiches & Café is a new bakery in River West that’s churning out the sweetest little savory snacks we’ve ever seen. Inspired by a collective of Duran cafés that have been operating in Europe for some 45 years, the new bakery — the first Duran outlet in the U.S. — specializes in miniature sandwiches. The wee snack is served open-faced and comes in a staggering 35 flavors each day (hear that, Baskin Robbins?) Toppings include Hungarian salami, carrot-and-apple salad garnished with a kiwi, and tasty Mediterranean tuna, studded with artichoke hearts, Spanish olives, and red peppers. There’s also a European-style coffee program with drinks such as the “Melange.” Made with coffee, espresso, steamed milk, and super-dense whipped cream, the drink may actually make you glad it’s still chilly outside. If you do head to Duran, let us know which sandwich flavor is your favorite. Otherwise, we may just have to sample all 35 ourselves. Duran, 529 North Milwaukee Avenue (at Halsted Street); 312-666-6007.